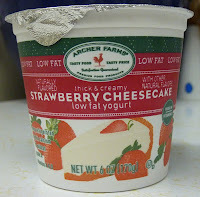 A couple of posts back, I reviewed Archer Farms Banana Cream Pie Yogurt. 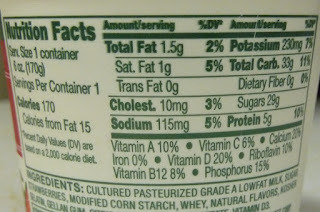 It got a sub-par score, largely because it was fat-free. But this strawberry cheesecake yogurt is proof that a very small amount of fat can turn a boring, healthy food into an indulgent, delicious treat. They not only got the flavor right, but they added bits of strawberry. I pointed out that the banana cream pie lacked any fruit or cookie bits, and once again, this strawberry yogurt proves that one little bonus ingredient makes all the difference in the world. All of Archer Farms yogurt is the same price. And I would say that the difference in fat and calories is negligible, especially in light of the vast difference in flavor. 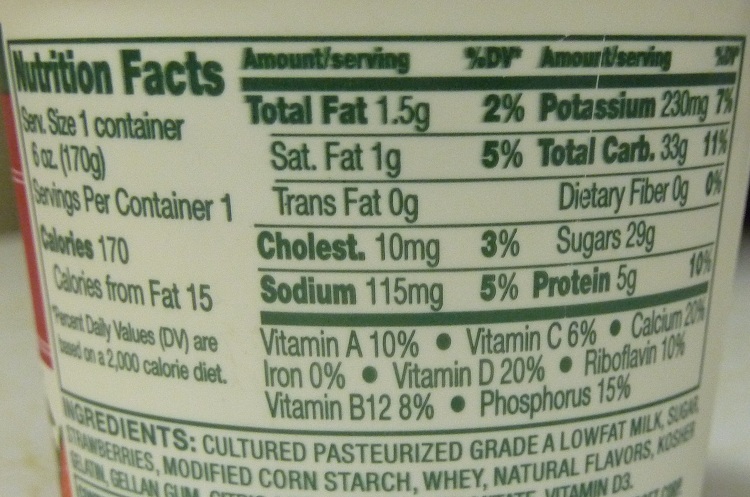 2% of my overall daily fat for an incredibly satisfying dessert-like snack? Yes, please. I think I worked off the 1.5 grams of fat while running around the apartment screaming "Oooh, this is yummy!" I think if I had to choose between an actual banana cream pie and a piece of real strawberry cheesecake, I would take the banana cream pie. But in this case, the strawberry cheesecake yogurt wins hands-down. No contest. My wife tried them both and she agrees, although, she would be far more inclined to a strawberry dessert over a banana dessert in the first place. This stuff hit the spot...and then some. I give it 9 out of 10 stars.